Transgender dads obviously come to parenthood in the same way as many lesbian, gay, and bisexual individuals, via adoption, foster care and surrogacy. But as we detailed in a Gays With Kids article this past February, some trans men also choose to have their own biological children by carrying them themselves. 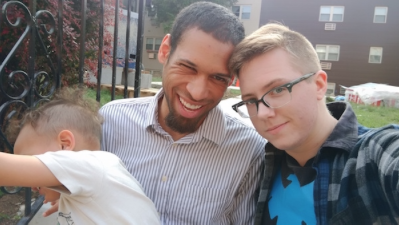 “Trans men who are considering fatherhood potentially face an extra layer of discrimination in various levels of the family planning process," Paul told me, who is a trans dad featured in that article. “Fertility clinics, prenatal health providers and adoption agencies may all discriminate against a person for being transgender." Stephen Stratton, another trans man featured in that article, also bemoaned the lack of education and support in the medical and fertility fields when it comes to transmasculine pregnancy. “There is never any guarantee that the people you need to work with are going to be sensitive, understanding or knowledgeable," he wrote to me via email. “The hospital we birthed at was so welcoming and the nursing staff respected our birth plan and made us feel at ease and at home." But, he said, not everyone has a "rainbows and sunshine" experience with their health care providers. Of course, the social stigma attached to being a trans man who is also pregnant extends far beyond the walls of hospitals and fertility clinics. For proof, one need look no further than the tabloids and media circus that erupted after Thomas Beatie publicly announced his pregnancy as a trans man several years ago. “Not everyone was warm and accepting of how we created our family," Stephen said. “Some people did and said hurtful things." Despite the challenges, though, Stephen says he wouldn't change a thing. “I have an amazing child who I love more than anything, I would… do it over a hundred times to get to be her Papa." While acceptance of trans people and parents is certainly increasing in the United States, there are added things to think about, Paul said, when a trans man is considering having a biological child. “Some doctors are not educated on the effects of hormone treatment and may offer a trans patient inaccurate medical advice because of that," he wrote. “It's tough." He also noted that parental rights can often be brought into question for trans men going through a divorce since some lawyers still make the case that being transgender is a mental illness. Paul's best piece of advice for other trans men thinking of taking this route to fatherhood? “Talk to other trans men who have done it!" Paul said. “It's a tough road, but it's easier with support. There are groups of trans men who have given birth online." Stephen, who said his pregnancy felt lonely at times, even with a supportive partner, readily echoed the advice to reach out to other trans men who understand the experience. “My body [was] going through the changes, and … my brain ... was affected by the onslaught of hormones and it was me who was responsible for growing a baby for nine months," Stephen wrote me. “It was good to have midwives we trusted, it was good to have the support of friends and family, but it was most important to me to have other trans men to talk to who had been through it." 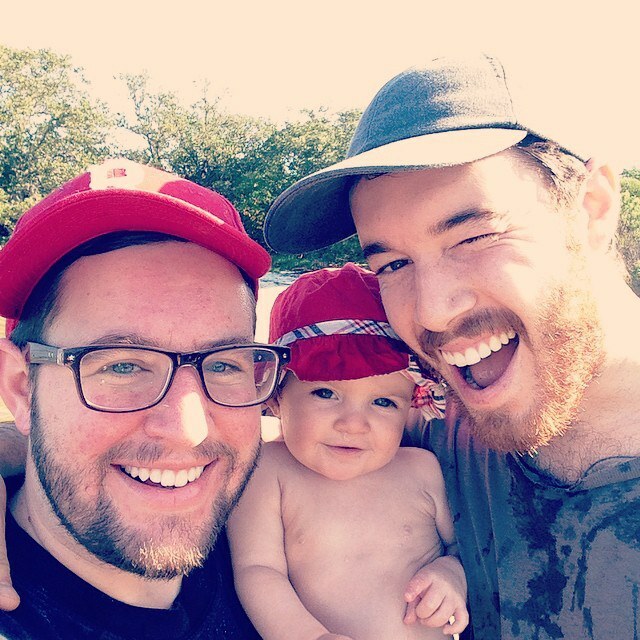 For other trans dads considering this or any other path to parenthood, check out Lambda Legal's page about Transgender parenting. And be sure to stay tuned for future articles about trans parents on Gays With Kids.